We have all had these thoughts and feelings plus so many more! I want to encourage you that YOU ARE NOT ALONE! These feelings are felt by so many women regardless if they have epilepsy or not. Remember that you are a new mother and that all women second guess themselves. 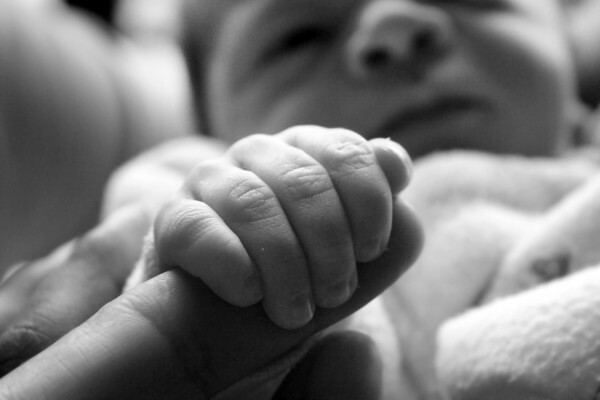 In saying this, you do need to remember that you have epilepsy and need to care for yourself FIRST otherwise you will not be any help to your new baby. Get plenty of rest and let others help you as you navigate sleep and caring for your newborn. Also, DO NOT bathe your baby alone! I know this can be hard because you are wanting to do it ALL without any help but remember that you don’t want to take any chances. Make sure someone is around while you are bathing your baby. This will make sure you and your baby are always safe. 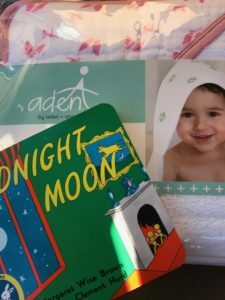 Set a normal routine with your baby of bathing, putting lotion on them, and then reading to them, This is a great way to bond as well as connecting with them from an early age. Plus you give them the gift of the loving books from an early age. Remember, Knowledge is Power so now you know that you should NEVER bathe your baby alone, you have the POWER to make sure your baby is safe while bathing them. Also, you are starting them on the road to gaining knowledge by reading to them every night. 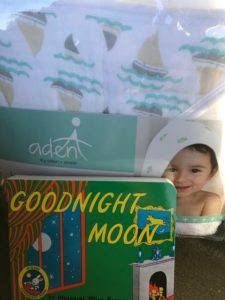 We are giving away a few Aden + Anais baby bath towels and the classic story, Goodnight Moon book for you and your baby! This is a reminder to read to your baby and practice Epilepsy Safety when caring for your newborn! Make sure you follow us on Instagram and Twitter for this AMAZING giveaway! Happy Epilepsy Awareness Month! This entry was posted in Brandy's Personal Posts, Helpful Epilepsy Information and tagged #1in26campaign, Baby Safety, Caring for your newborn, Disability and epilepsy, Epilepsy and Pregnancy, epilepsy medication, Epilepsy Safety, Families, Giveaways, My Epilepsy Story, Pregnancy, Pregnancy and Epilepsy, seizure, seizure medication, Women, Women with Epilepsy.